Descent of 7km, no time limit! (2h non-stop 3 to 4 hours recommended). Take time to discover the many secluded and uncrowded beaches that dot this course. 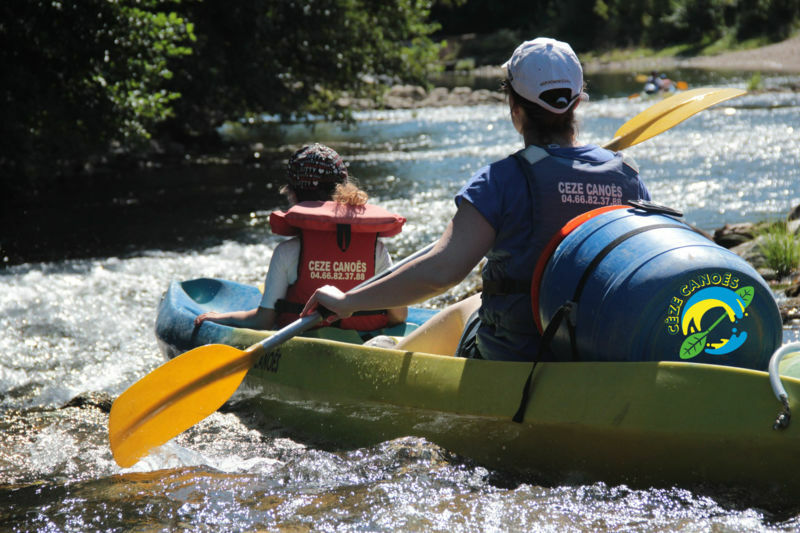 Punctuated by many rapids that will carry your boat gently, this course is particularly fun! You can also take your picnic and let yourself be tempted by its many beaches and swim to enjoy a moment of relaxation. April-October: Meeting at the base of Goudargues, in the Village Center. Departure every 20 min, every day. Return at your convenience directly to your car! Our shop: Neoprene slipper, eyeglass cord, waterproof phone protection and beach games etc.